Money is tight and sales may be down. 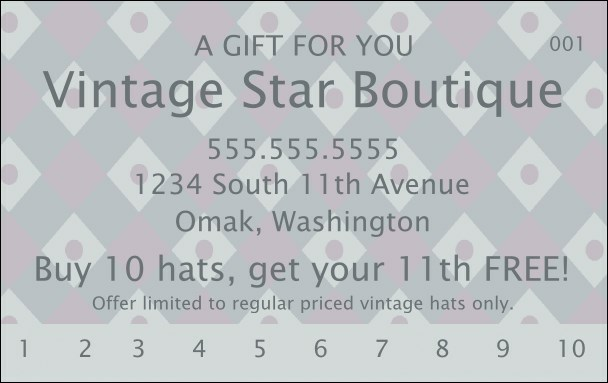 Give your customers more value for their hard-earned dollar when you choose to sell this sleek and stylish Diamond Gift Card. Pale blues and purples form the perfect tessellating diamond pattern and help you to create a rich and rewarding climate. Get treated like royalty when you order from TicketPrinting.com.